In the previous tip, we reviewed what the focus in the interview should be. There are 3 things to focus on: The interviewer, the message, and yourself. The majority of your attention needs to be directed to the interviewer and not yourself, and you will most likely cut a lot of nervous jitteriness and can convey the message that you want them to hear. 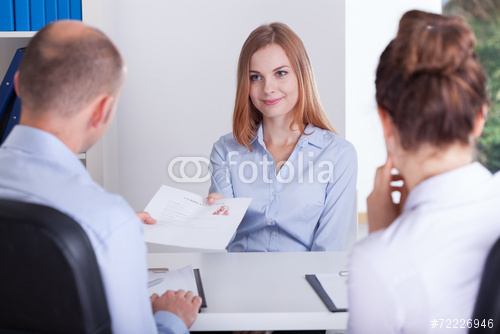 Below, we will discuss what the interviewer should know about you, and how to properly convey it. Think of the main three points you absolutely want to leave the interviewer with. What makes you unique and what stands out and will get you the job? Avoid saying cliché things like, “I’m a hard worker.” Think of what will be memorable. What will make you stand out? How will they remember you? Make it clear what the interviewer should know about you. Read between the lines in the job description and be creative. You need to hit those points right up front in the interview. You also need to recap those points before you leave at the end of the interview and highlight those points in between. Let’s say that one of your main points is that you have worked with global clients. You can get that information to the interviewer at many different points. You cannot depend on your resume doing this work for you. Sometimes they don’t read the resume thoroughly or they read it weeks ago or they are interviewing 30 people and who can remember all that? Tell them what’s important as soon as you can, repeat it with examples and tell them again before you leave. If you lead with that great information it may change their mind about you immediately and then your interview will take a positive turn. Keep in mind to read between the lines in the job description and be creative. It’s important you can recognize your own value and you can convey to the interviewer why you are a good fit for the job.